Courtyard at back of Furze Platt Infants school. 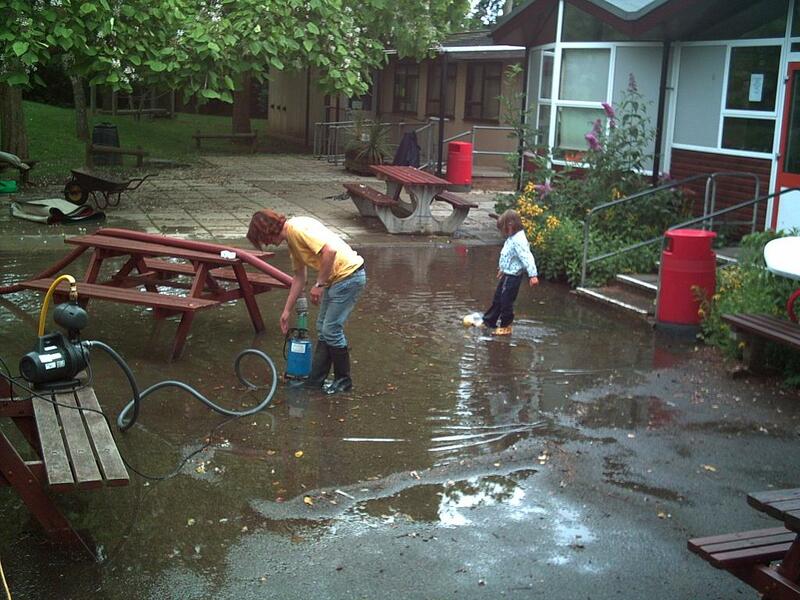 The lady had seen the school on ITV’s lunchtime news and brought a pump. Their hall and four classrooms were flooded out. 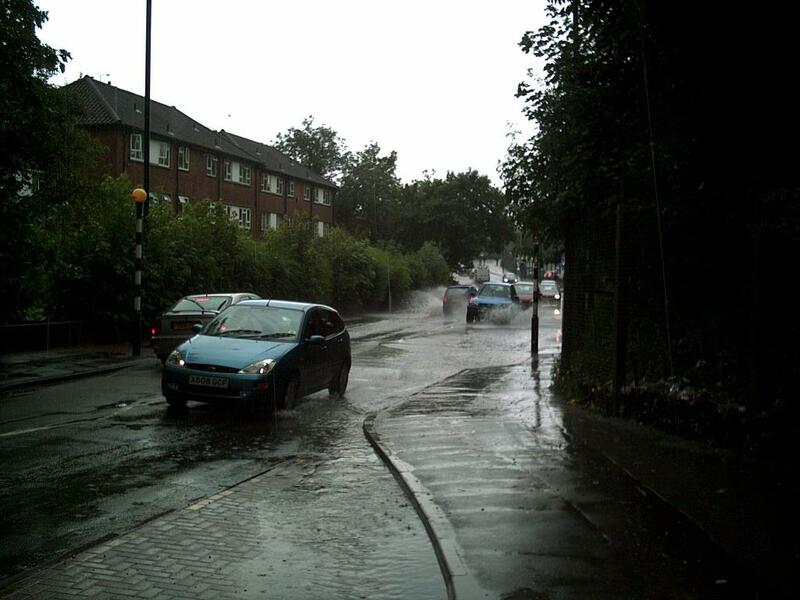 Just off Wooton Way, this puddle didn’t drain away – the Council pump unit was on its way. We visited the people living in the ground floor of the flats on the top left of the picture whose downstairs had been flooded largely as a result of lorry drivers going through deep water and creating waves into their houses. This entry was posted on July 21, 2007 at 11:39 am	and is filed under Maidenhead. You can follow any responses to this entry through the RSS 2.0 feed. You can leave a response, or trackback from your own site. 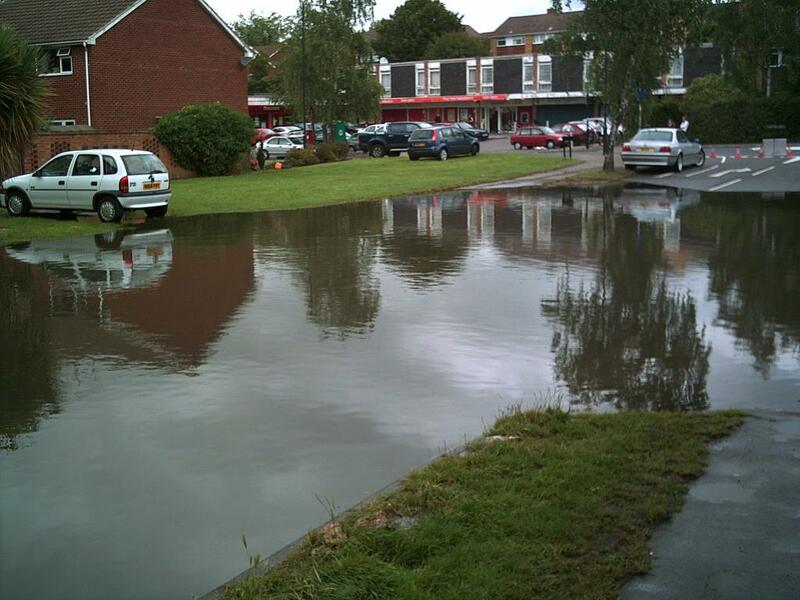 The flooding appears to have occured on roads that dip due to the natural contours of the land. Can the Council investigate these areas and try to find a solution. I know the Bath Road (Highway) and Wooton Way areas well and we seem to be hit, to different extents by rainwater build up everytime a really heavy shower hits. PS – I’m enjoying reading the blog!